Nothing frozen here, but when I woke this morning my weather app said St Kilda Road Central, -1. I was doubtful. I checked the thermometer and it was 4.5 on the balcony. I took the visiting dog downstairs for a quick wee and then I believed the -1. Great photos, simple things often make the best shots. Hoar frost is very beautiful. Pointy! Since we were close to 100 F yesterday, I find the thought of frost quite inviting. Lovely shot. I'm with Bill: After a week hovering near 100 degrees during the county fair, I am dreaming about cooler weather, and you're helping me with this beautiful photo! 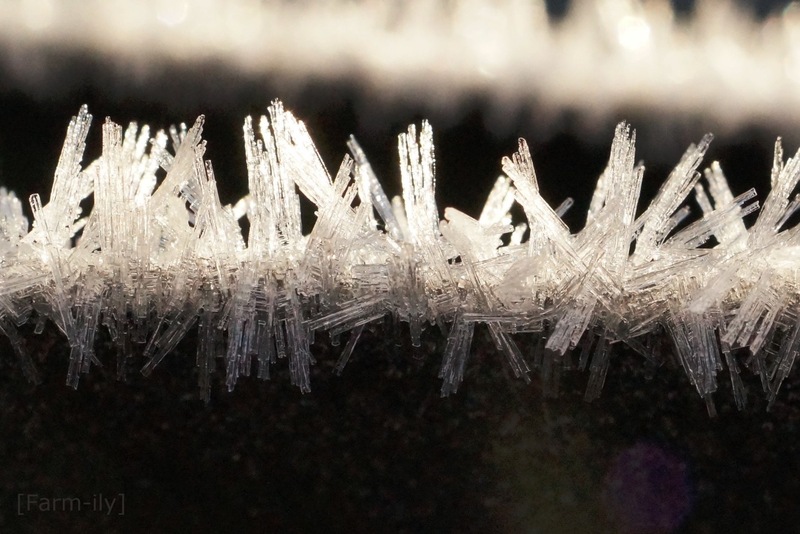 Wow you've captured great detail with this shot of the ice crystals. We're back in the upper 90's here and still no rain much lest frost.